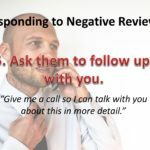 While negative reviews can be intimidating, they can actually be positive for you in the long run. 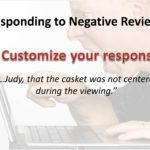 Before online review sites and the Internet, how did families share what they thought about your funeral home with others? Maybe they chatted in the parking lot after a funeral service or at the grocery store while shopping or on the phone. 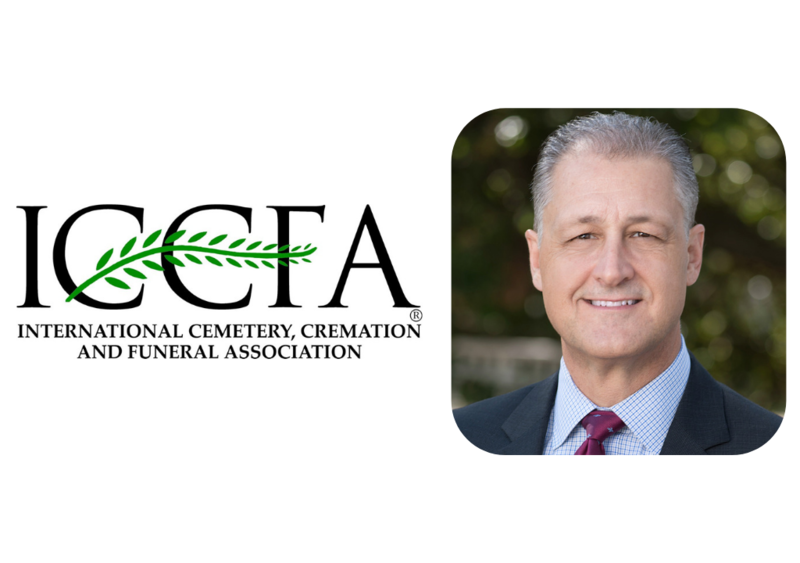 If a family was unhappy with their experience, you, as a funeral service professional, might not have known about it until months later. 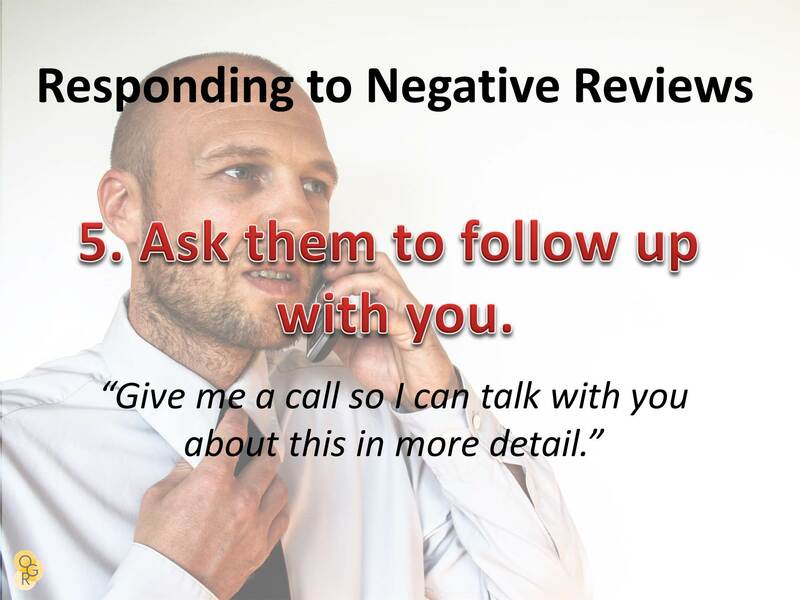 You might not have even been given the opportunity to respond because you never heard about the complaint. 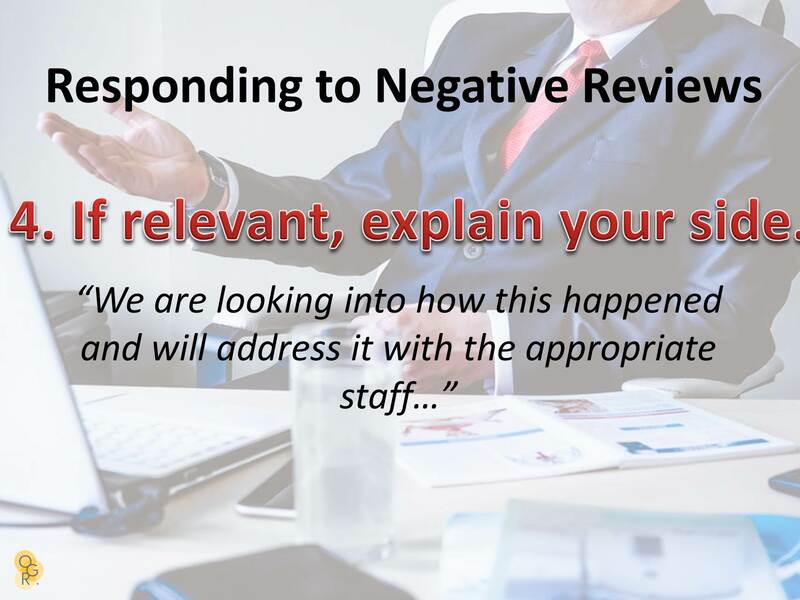 Enter online review sites: a forum for customers to share their positive and negative experiences with a much broader audience. These sites — think Google Business, Facebook, Yelp — now provide businesses like funeral homes with the opportunity to join the conversation. 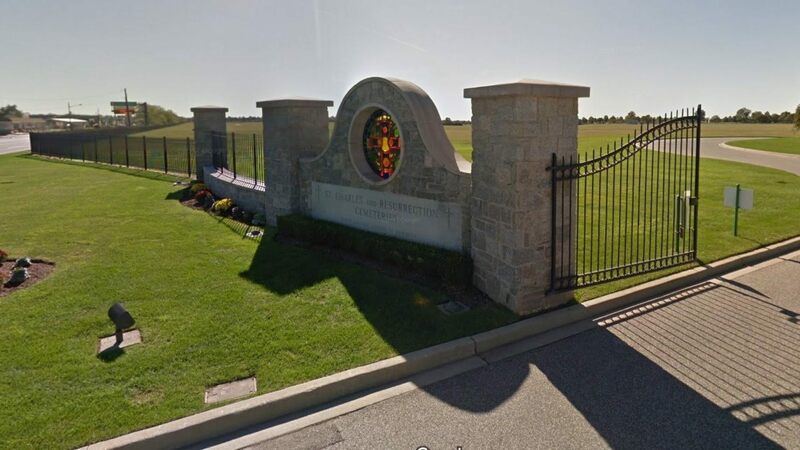 Anyone searching for a funeral home in your area may find your website, but they will also see your Google business listing and how the public has rated your funeral home (learn more about Google My Business). They may also see an obituary post on Facebook, visit your Facebook page and read there what families think about your funeral home (your business is most likely on Facebook, whether you like it or not – see lie #3 in this post). 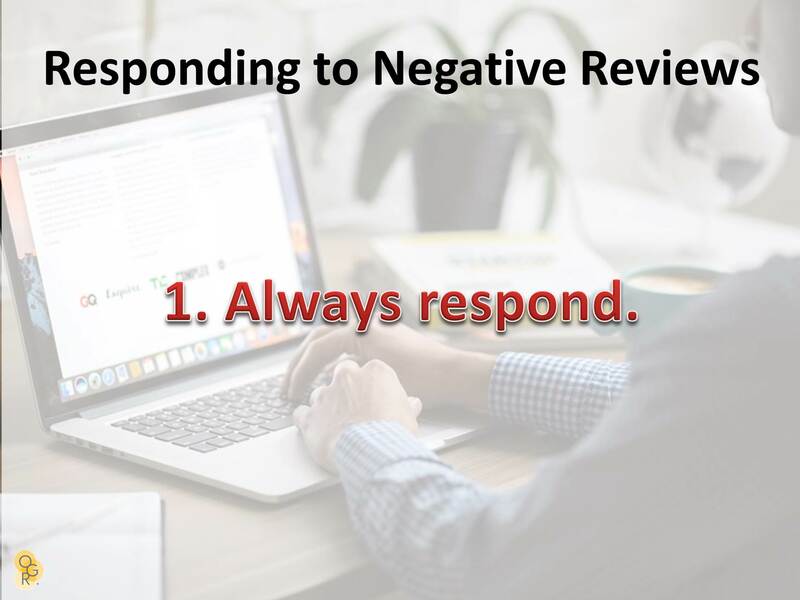 While negative reviews can be intimidating, they can actually be positive for you in the long run. 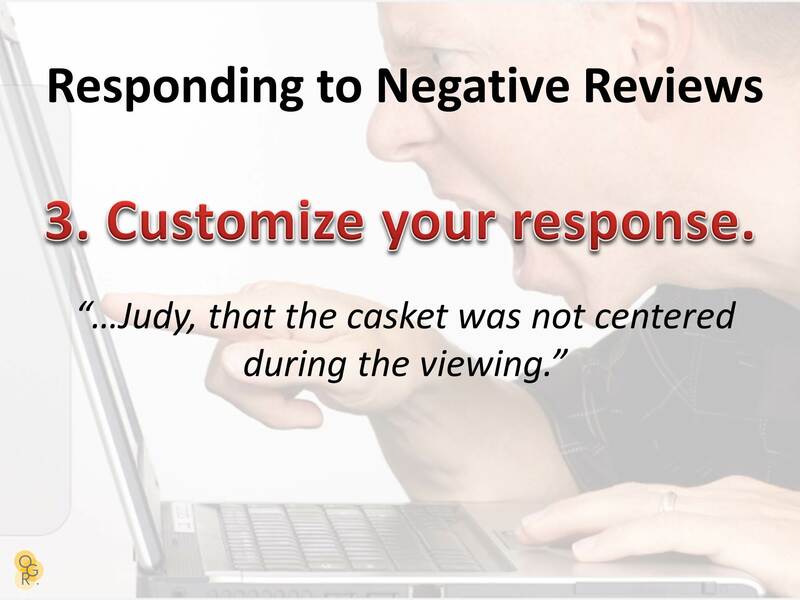 If you respond appropriately, a negative review can demonstrate to a grieving family why you’re a place they’d want to take their loved one. So how do you accomplish this? 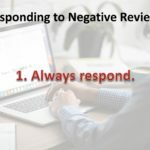 How should you respond to negative online reviews? 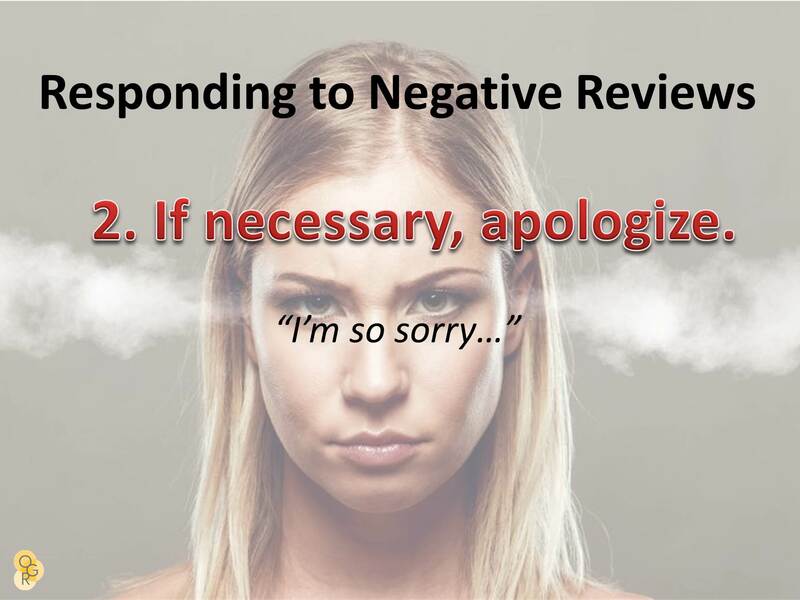 Check out these five suggestions for responding in a professional and caring manner. Click through the images below to see each suggestion. Let’s look at an example of how a funeral home could apply these five steps after they have received a negative review. One woman reviewed a funeral home for having unprofessional staff. While her review may seem subjective (How do you determine if someone is “on the flirty side”? 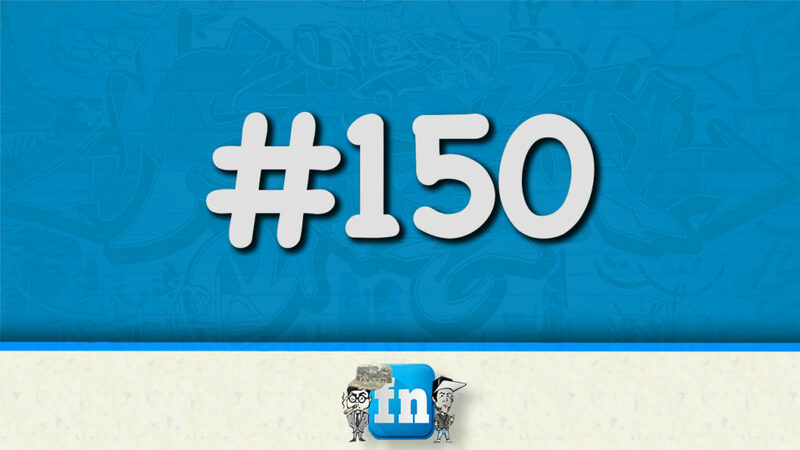 Could friendliness be interpreted as being a “smooth talker”? ), the truth of the matter is that she felt uncomfortable being at this funeral home. She felt uncomfortable enough to go online and leave a review. Her review deserves the funeral home’s consideration. 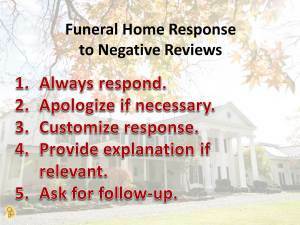 How should the funeral home respond? 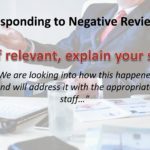 By using the five steps mentioned above, the firm can adequately address the concern and show Mary and anyone else who stumbles across their Facebook page that they take customer complaints seriously. While the situation isn’t perfect, Mary knows that action is being taken and that her complaint has been heard. What about your funeral home? 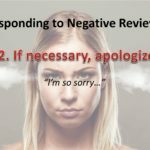 Do you respond tonegative reviews in a similar way? Start to see them as an opportunity to engage with the families you serve, and you may be surprised at how far they take you.